The Hungarian Vizsla (simply referred to as “Vizsla”) is a medium -sized dog originally bred in Hungary for hunting. The Vizsla can often be confused with the Weimeraner due to their similar appearance. 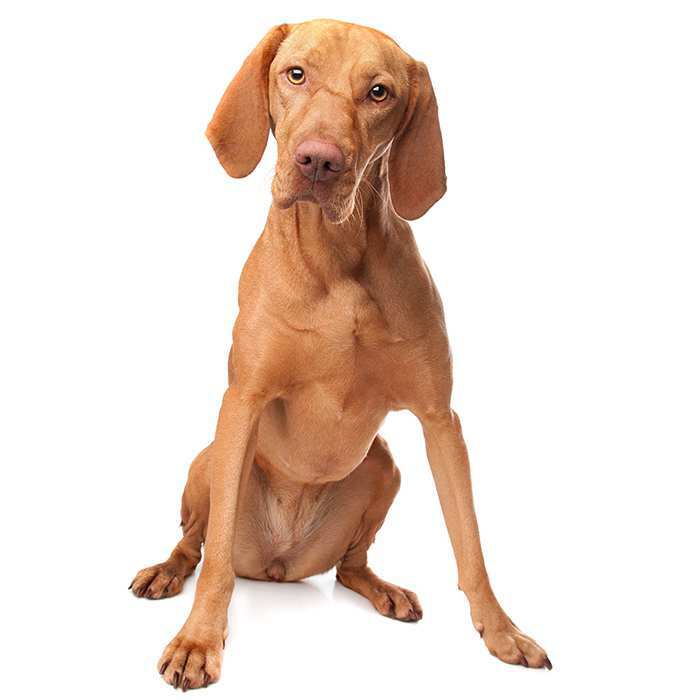 The Vizsla has a strong, lean body covered in a short, smooth coat which is a solid golden/rust colour, and its nose, eyes and nails generally blend in the fur in terms of colour. They shed a little and tend to be relatively low-maintenance, only needing occasional brushing and bathing only when absolutely necessary.  However, their nails should be checked weekly and trimmed when needed. According to the Vizsla Club of America, the average lifespan of the Vizsla is 9.15 years, but their life expectancy can reach between 12 and 15 years. Male Vizslas weigh between 20 and 30 kg and stand at 56 – 64 cm tall, while females weigh around 18 – 25 kg and stand between 53 and 61 cm tall. Thanks to their hunter instincts, Vizslas have tons of energy and need to be taken for a long, brisk walk or jog each day. They also need a large, safe enclosed area at home to run and play. For this reason people living in apartments should not get a Vizsla. Vizslas who do not receive adequate physical and mental stimulation can become destructive or develop behavioural problems. The Vizsla is an exuberant, loyal, affectionate and friendly. They are highly trainable and willing to learn, but if not given a strong, assertive authority figure, the Vizsla may become stubborn.  Though they are not recommended for families with toddlers because of their highly excitable nature and boundless energy, they are great around kids and teenagers. 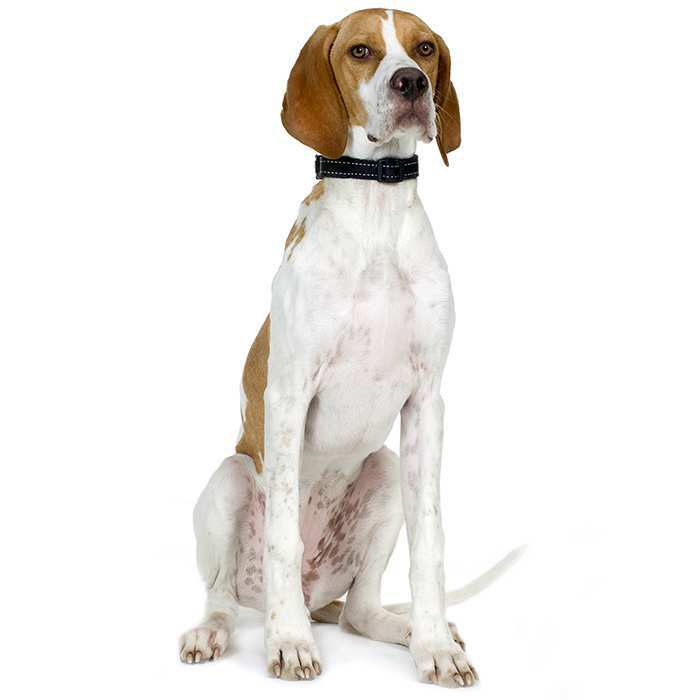 They can also be friendly with other dogs and cats, but should not be trusted around small pets. Because they have so much energy, some Vizslas may tend to chew, but if given enough chew toys, exercise and mental stimulation, there is no reason why they cannot become well-rounded, gentle and calm dogs.  What are the most common health issues for Hungarian Vizslas? 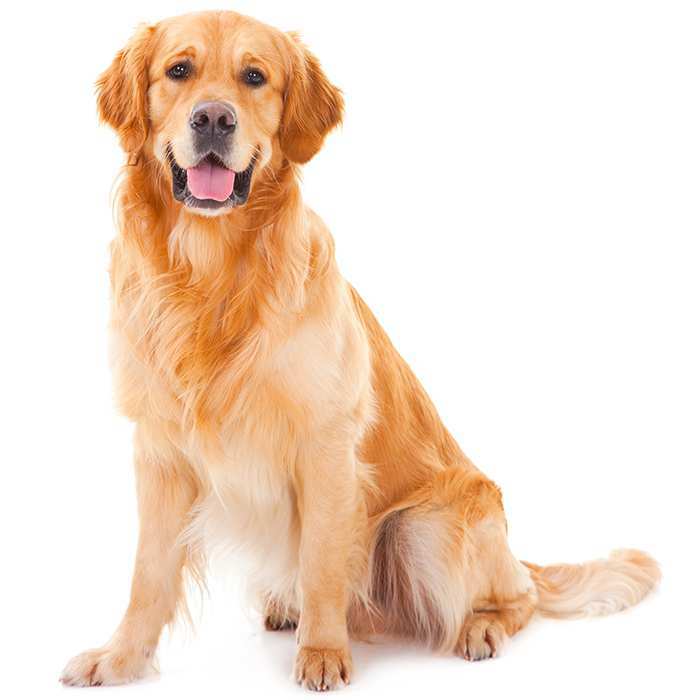 Lymphosarcoma is the third most common cancer seen in dogs can occur almost anywhere in the body. Treatment includes chemotherapy and in some cases, surgery. The prognosis for affected dogs is generally very good, with 80% of treated dogs going into remission. 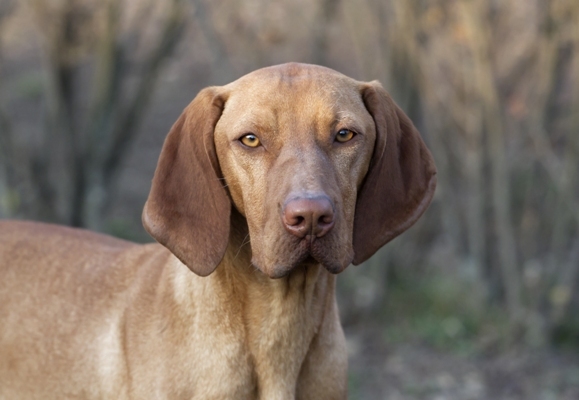 It is widely accepted that the Vizsla (also referred to as the “Hungarian Pointer”) probably descends from the hunting dogs of the Magyars over a thousand years ago. These dogs were popular among nobility and warlords for their ability to hunt and retrieve game. Depictions of the Vizsla’s ancestors date back to the 10th and 14th centuries in etchings and manuscripts. By the late 19th and early 20th century, the Vizsla was a distinct breed, known for its excellent sense of smell and hunting abilities. During WWI the Vizsla was used to carry messages, however, like many dog breeds, WWI almost drove the Vizsla extinct. The surviving dogs were bred and began being imported to the USA in the middle of the 20th century. Despite only being 60 years ago, this Vizsla was a lot different to the modern breed – they had longer muzzles, both lighter and darker coat colours, longer ears, and a hound-like appearance. 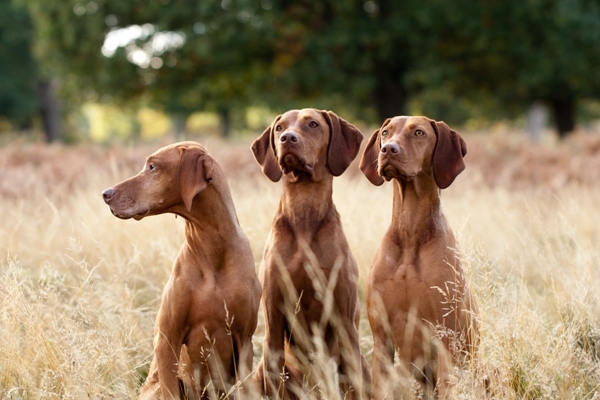 Since 1960, when the Vizsla was first recognised by the AKC, the breed has been standardised to the dog we see today. 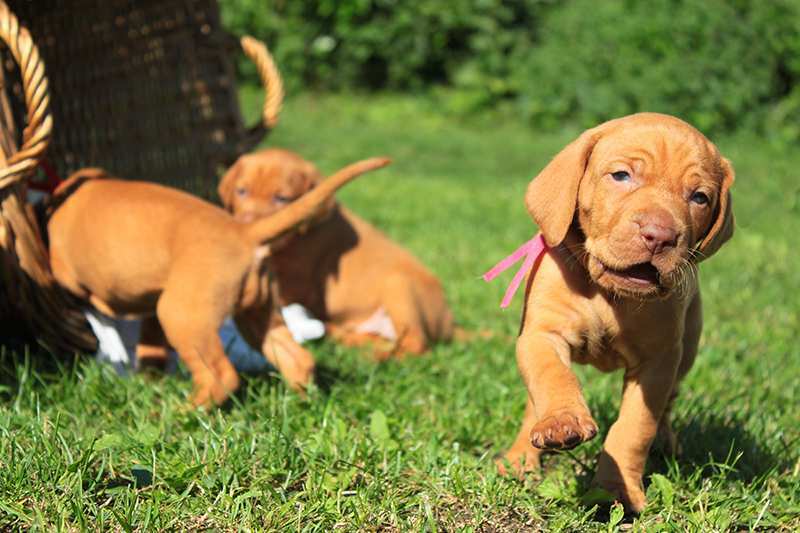 The AKC reported that in 2013, the Vizsla was the 34th most popular pure breed in the USA, up from 45th in 2003. Dana Perino, former White House Press Secretary, owned two Vizslas named Henry and Jasper. Fall Out Boy member Pete Wentz owns a Vizsla called Bearenstain. Gary Dell’Abate (a.k.a. Baba Booey on The Howard Stern Show) owns a Vizsla named Murphy. A Vizsla in the UK named Millie suffered painful lumps on her paws but after being given special dog shoes can walk again. A Hungarian cartoon (called “Frakk, the nightmare of cats” in English) follows the adventures of a Vizsla named Frakk. 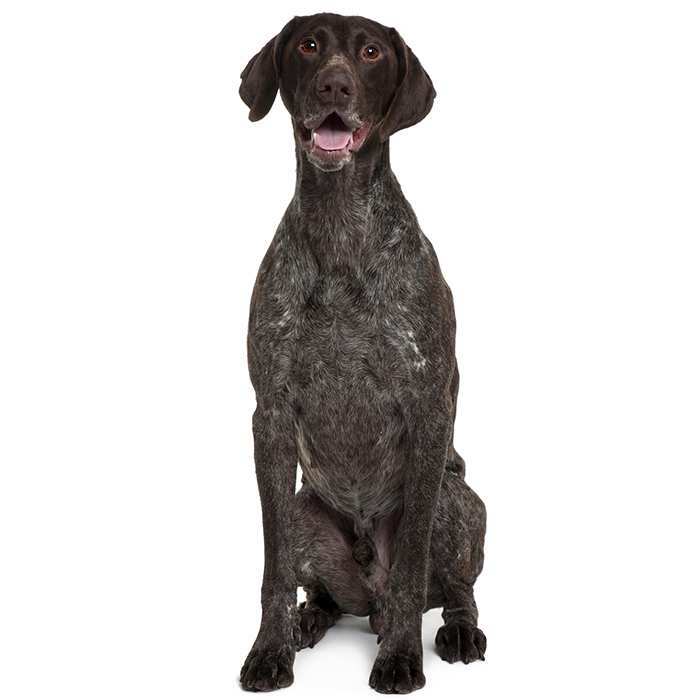 The Wirehaired Viszla, despite having a very similar history and appearance to the Vizsla, is an AKC-recognised separate breed. They are extremely rare, and only around 150 are registered each year. Vizslas can run up to 65 kph. 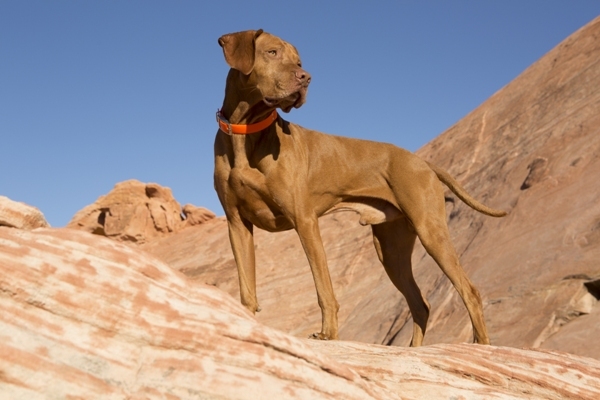 The English translation of the word “Vizsla” is “Pointer”. Some people refer to Vizslas as “Velcro dogs” since they love being around people and stick to their family like Velcro.